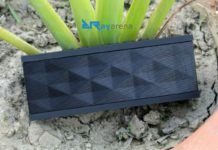 There are a lot of Bluetooth speaker options out there but very few have features and design that let you take them wherever you go. 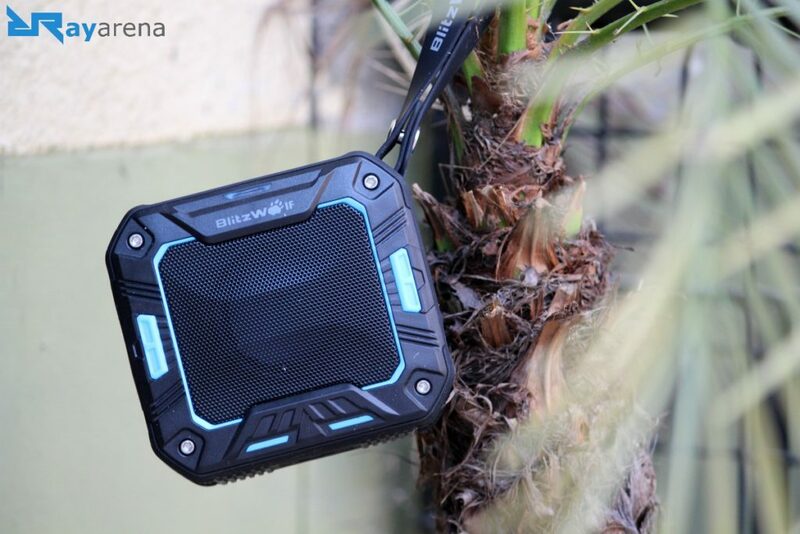 BlitzWolf is a brand known for their earphones and speakers, and the latest BlitzWolf BW-F2 is a Bluetooth speaker for those who need a rugged and compact outdoor speaker. 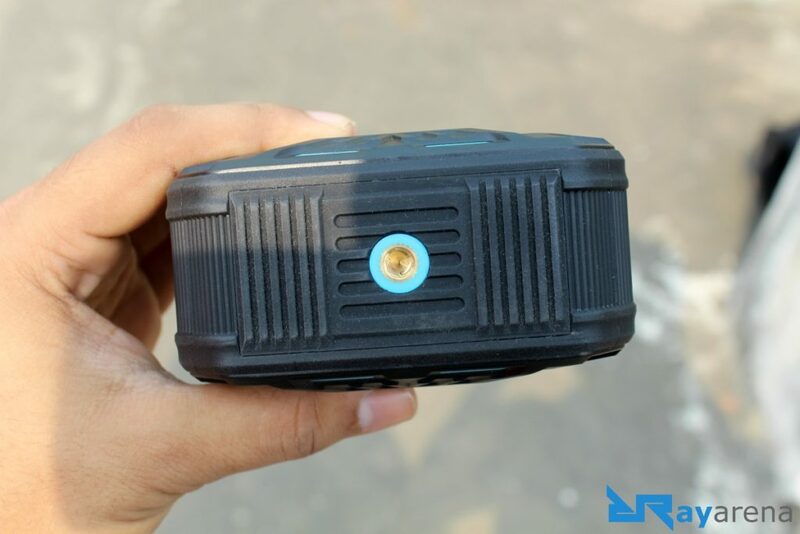 Today, we bring you a detailed review of the BlitzWolf Bw-F2 Waterproof Bluetooth Speaker to help you decide whether the ruggedness of the BlitzWolf BW-F2 is something that you should go for. The BW-F2 has a tough-looking casing with the speaker grill up front and screws visible at all corners. 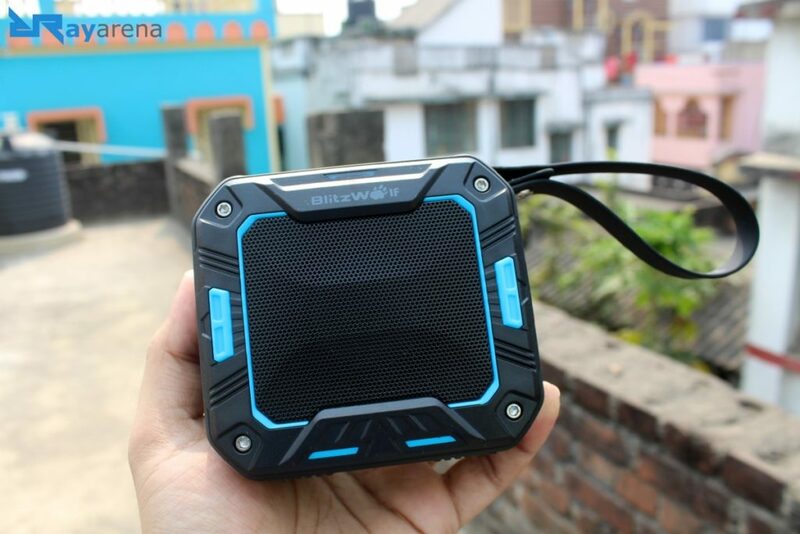 The design does look appealing thanks to the ruggedness and the overall size of the speaker is also quite compact and can be carried around comfortably. With an anti-shock design, the BW-F2 can take up beating and thus be comfortably used “roughly”! Up front, there is also the “BlitzWolf” logo along with an LED lights indicating whether the speaker is ready to pair or paired already. The controls for the speaker and on top of the speaker, which include the power button, volume up and down button and the play/pause button. There is also an inbuilt removable rubber strap present to carry along the speaker. On the back, there is a MicroUSB port for charging, a 3.5mm jack for AUX and there is also mount present to the bottom of the speaker which can be used to mount it to a tripod. There is a mono 5W 50mm driver present in the BW-F2 and considering the compact form factor of the speaker, there is nothing to complain about with the setup. The sound quality produced by the speaker is clear and there is no cracky noise present even when the volume is raised to the maximum. And with about close to maximum volume, the speaker can easily reach all corners of a room. However, where the speaker setup lacks is when it comes to bass. The mono 5W unit is not capable of producing any jaw-dropping bass effects, and that should not be a surprise at all. There is also a mic present in the speaker if you choose to attend voice calls with it. Voice call clarity on both ends is okay-ish with the other end reporting that the call sound was feeble. Even though the speaker is good enough for occasionally attending phone calls when picking up the phone is not the best option, for people who do talking over the phone a lot, the BW-F2 is not the best experience you can get. 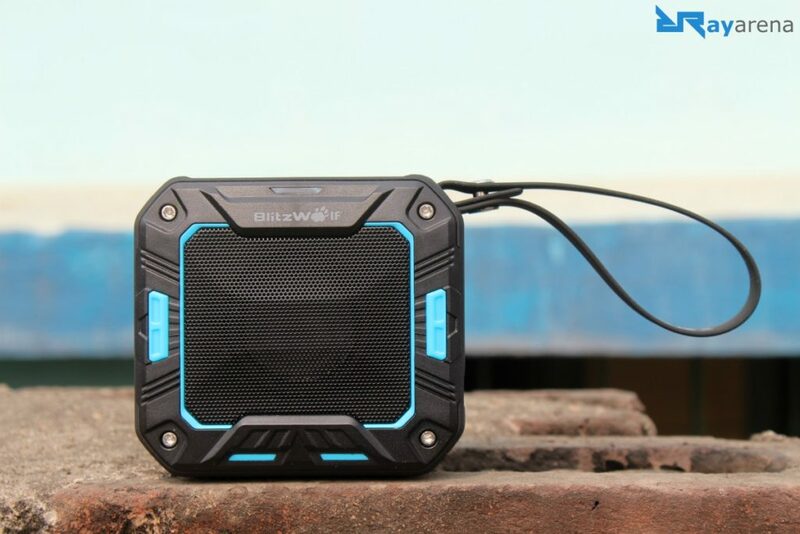 The BlitzWolf BW-F2 offers great portability and that must be well-understood with its tag as an “outdoor” Bluetooth speaker. 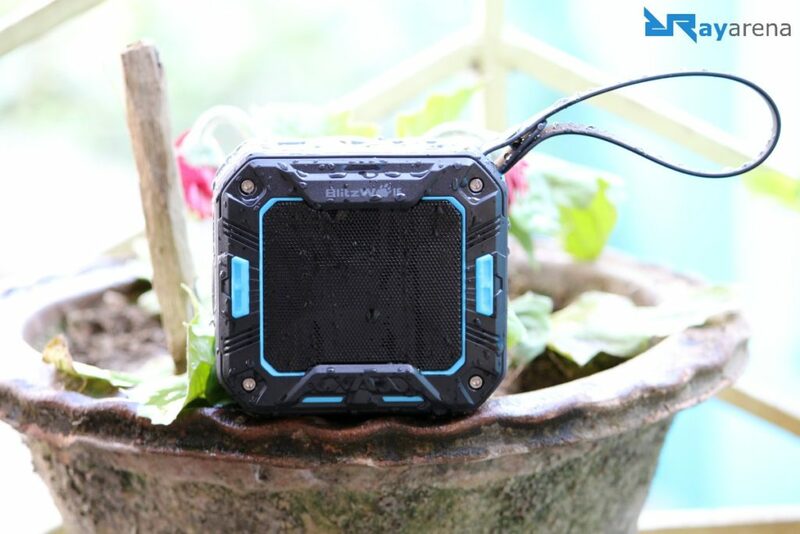 The compact and rugged design and the inclusion of a strap make it really convenient to carry along the speaker wherever needed and the IP68 certification for water and dust resistance is also a nice addition. But please do note that the IP65 certification does not mean you can go scuba diving with the BW-F2, the speaker should not be submerged underwater for more than 30 minutes or even more than 1 meter deep. 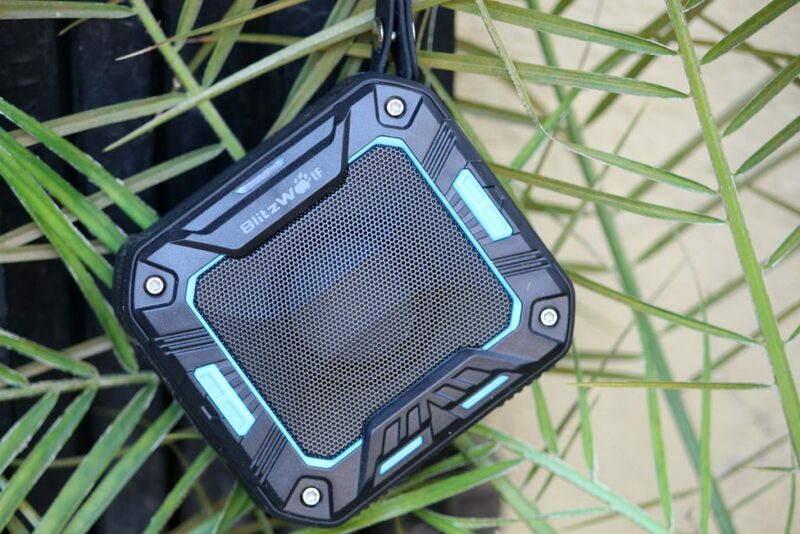 The BlitzWolf BW-F2 offers great connectivity for a Bluetooth speaker. Pairing only takes a couple of seconds and there is a chime noise that lets you know when pairing is done. The device uses Bluetooth 4.0 for connectivity and can remain connected within a distance of around 32 feet (10 meters). 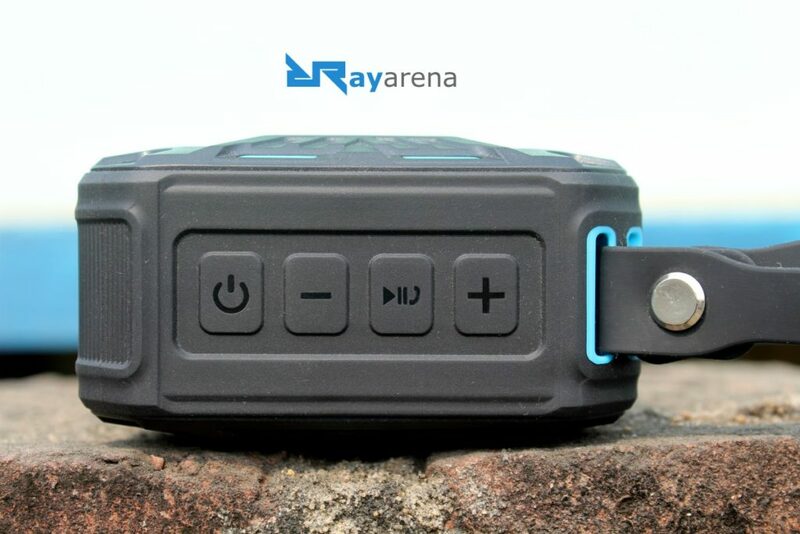 However in our testing, depending on the walls and obstacles present, the speaker can stay connected reliably at even 75 feet and at about 100 feet, the speaker does remain connected but the audio quality begins to drop. Even if Bluetooth connectivity is not possible, the 3.5mm AUX jack helps to directly connect the speaker to a source. The BW-F2 comes with a 2000 Li-ion battery which is capable of about 8 hours of non-stop playing at around 70% volume. 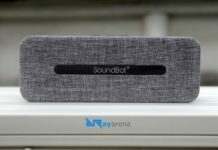 Comparing to other compact speakers, the 8 hours battery backup is really cool and if the volume levels are set to around 50%-60%, the battery can even last for about 10 hours. What we haven’t discussed so far is the pricing of the speaker. The BlitzWolf BW-F2 is priced at $16.99 on Banggood. 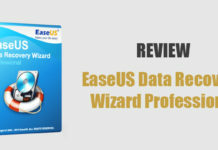 At such a competitive pricing, what the speaker offers is quite amazing and considering all the features offered, there is very little to complain about. 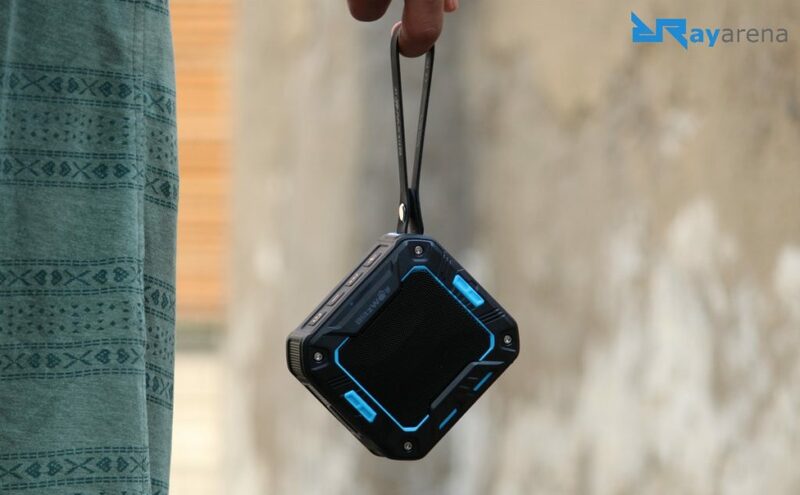 Even though termed as a rugged speaker, the speaker is really convenient for even regular home use and considering the added benefits like anti-shock design and IP65 rating, it is a really sweet deal.